The Hairy Growler Silver Tree collection. 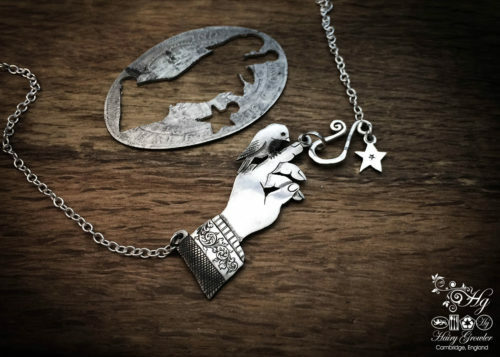 Handcrafted and repurposed Victorian silver Florin Newton's apple tree necklace by Hairy Growler. 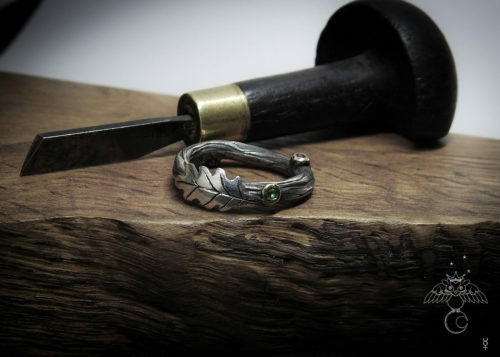 Recycled silver Florin coin “The coin is not flattened. 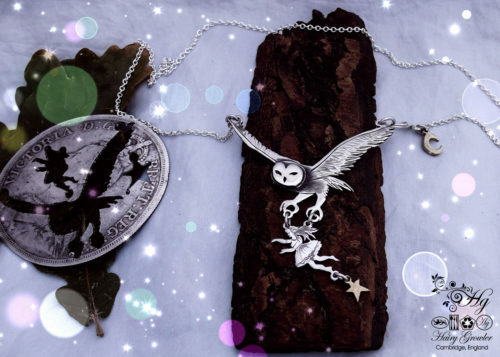 This means we have a smaller pendant but one that is ‘chunkier’, being the thickness of the coin.” – The Growler. 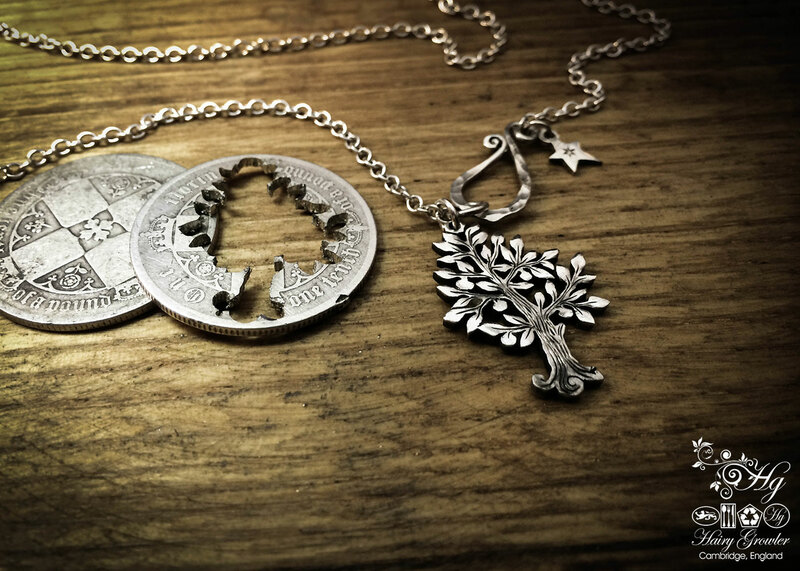 This beautiful little apple tree has been meticulously crafted from an old English sterling silver half crown coin. 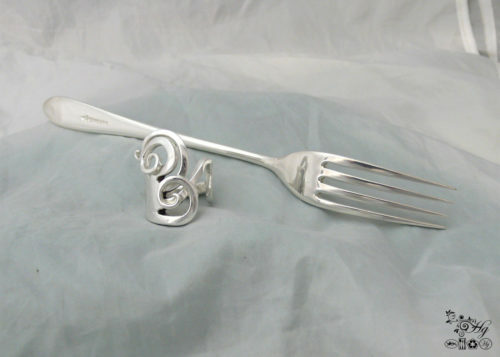 The coin itself was minted in 1889 from the finest silver. 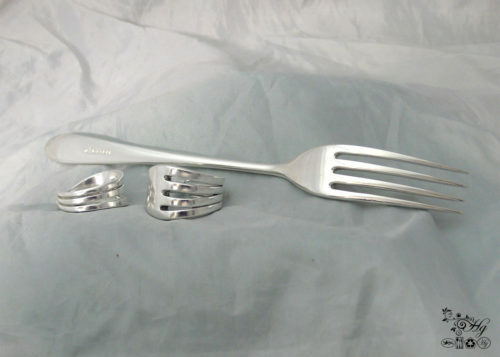 Not only does the silver ‘some-how’ feel warmer and more beautiful it also has the depth of its history behind it. 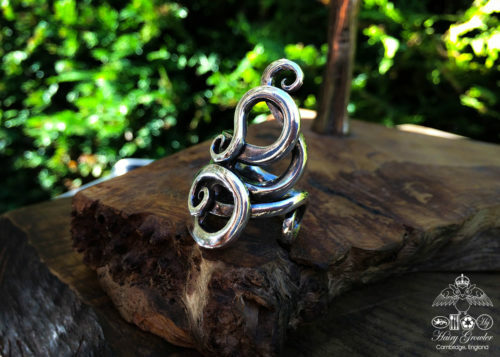 This combined with the fact that it is more ethical and green to use than freshly mined and processed silver make it the perfect raw material for a gorgeous tree pendant! The coin is not flattened. 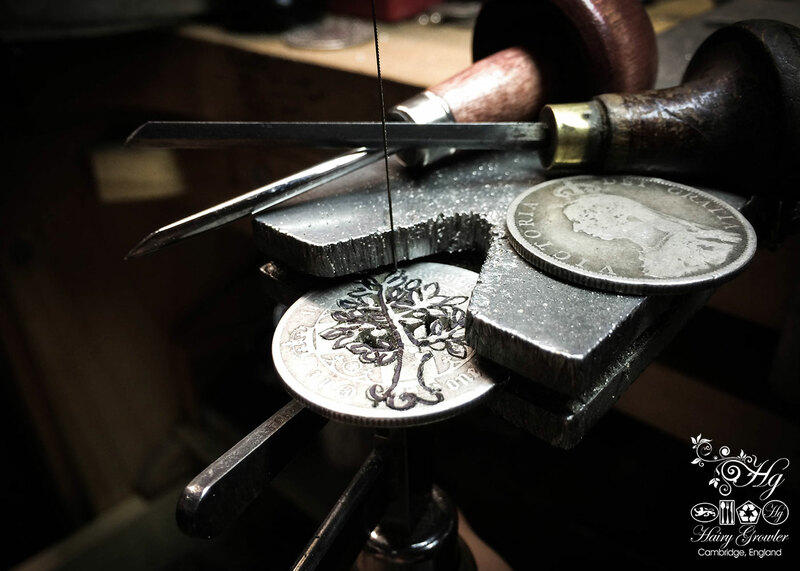 This means we have a smaller pendant but one that is ‘chunkier’ being the thickness of the coin. 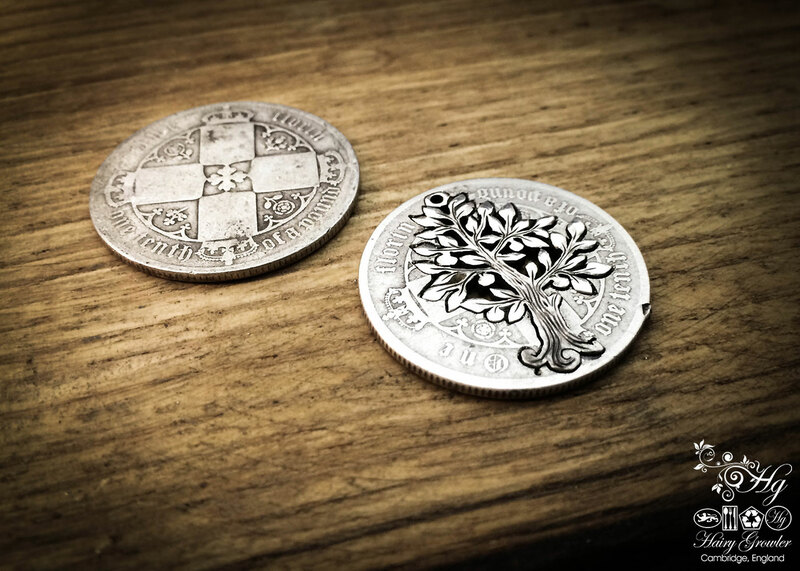 The apple and leaf tree design is roughly drawn onto the coin surface. This trace outline is carefully followed with an ultra fine piercing saw blade. The interior detail is revealed using the same hand saw and a pendant drill. 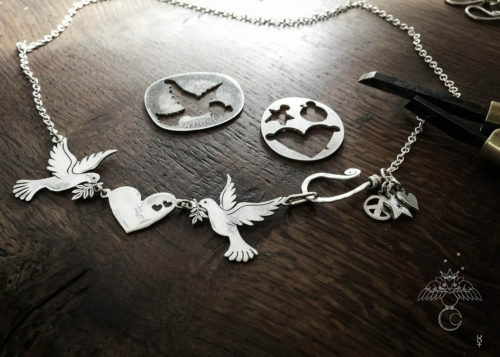 Further dimensions and details are added by engraving and carving the silver. Once crafted the tree is finished with a simple leaf design or bronze star hanging freely at the safety catch.